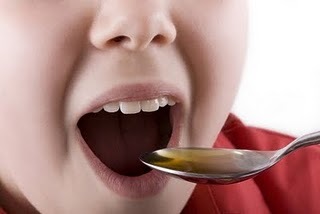 Many parents avoid giving their children supplements and vitamin because they cant get them to swallow them. Parents have to open capsules, strategically hide them in food or juice, needlessto say it can be a very frustrating process. Many kids have such sensitivities that their pallets can detect when we are “tricking” them. We have come up with a solution, Neurogistics is happy to annouce the arrival of a new product: GABA+ Liposomal Liquid! Kids love the taste, parents love the ease of this supplement. It simply goes under their tongues and is absorbed. We also have a liquid 5HTP. For those kids who cannot swallow supplements, these products are a great alternative. We have the only twice tested liposomal delivery system for GABA+ and 5HTP. This superior form of GABA allows for quick absorption under the tongue with a sweet grape taste. The dosage on this highly absorbent form of GABA is lower than GABA+ capsules since the absorption rate is higher. GABA+ contains a special form of GABA (beta-phenyl-gamma-aminobutyric acid), an ingredient that is structurally similar to the neurotransmitter GABA, the primary inhibitory neurotransmitter in the brain. Unlike the amino acid GABA, beta-phenyl-GABA (GABA+) readily crosses the blood brain barrier and acts on GABA (A) as well as GABA (B) receptors producing anxiolytic and cognitive enhancing effects. This formula is great for children or anyone who has difficulty swallowing capsules. This form of 5HTP allows for quick absorption with a sweet taste. The dosage of this very absorbent form of 5HTP is lower since the absorption rate is higher. 5-HTP is the amino acid intermediate to the mood regulating neurotransmitter serotonin. 5-HTP crosses the blood brain barrier converting into serotonin in serotonin producing nerve cells. Besides benefiting mood, supporting serotonin levels can also help fight sugar and carbohydrate cravings and improve sleep quality by converting into melatonin. Melatonin is a hormone that regulates the sleep/wake cycle. To learn more about the Neurogistics Program click here.